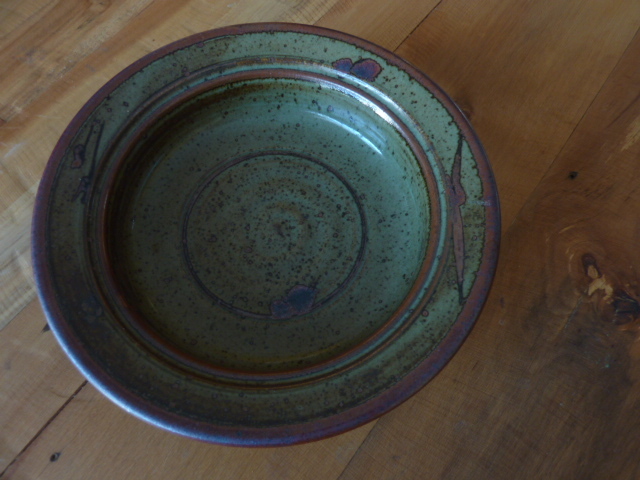 Randy Bogner has years under his belt when it comes to throwing clay…producing both functional and aesthetically exquisite pottery. I’ve known Randy since 1973 and treasure his friendship along with that of his beautiful wife, Jane, and their daughters. I’ve really enjoyed a couple of trips out to their home with our amazing friend, Glo. Randy and Jane live just outside of Bragg Creek and while there, sharing a feast of home made soup and warm bread, I can’t help but feel that I’m enjoying a wee piece of heaven. 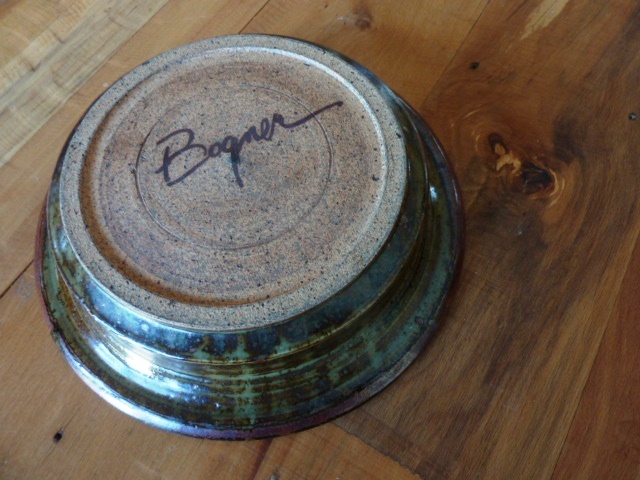 I have two pieces of Bogner pottery in my collection and cherish both of them. 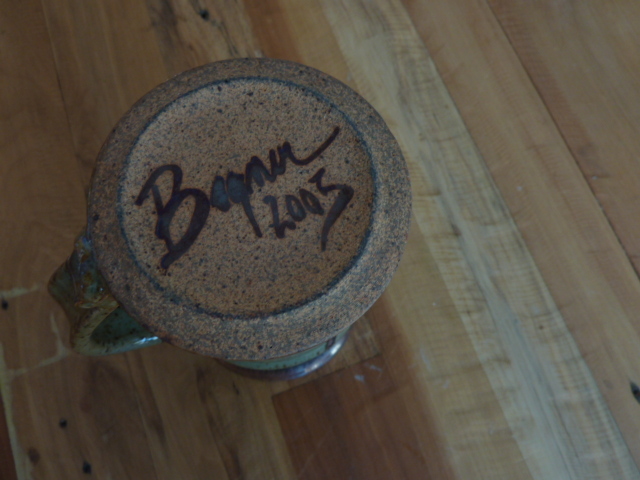 I received the bowl for my 50th birthday. Awesome! 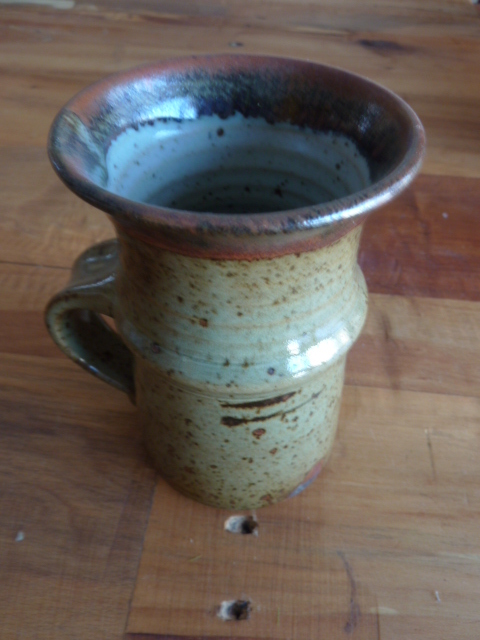 Glad you found this, Randy…yes, I have also asked Emma if there is any way she can send me her short films about the process of throwing clay, in order to post them here. She said she would see if she could figure it out, but I haven’t heard from her. I have also featured Larry Weaver in my list of collected treasures…don’t know if you read that one. 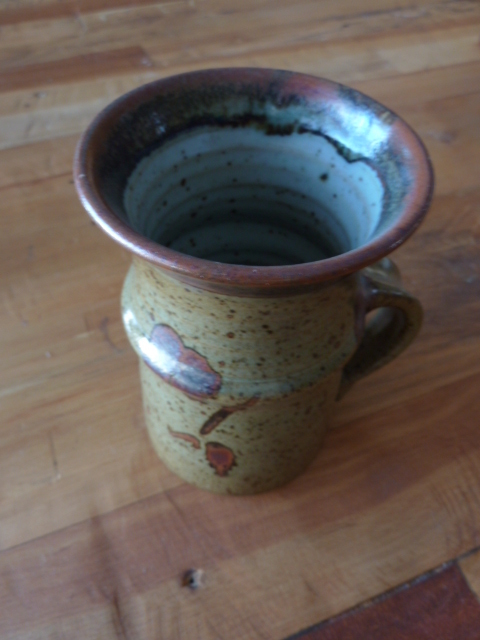 The two of you, of course, are my favourite potters.